The state of the Estonian design market, from both the creative and consumer perspectives, has never been more abundant in terms of inventive talent producing aesthetic and functional commodity products and educated buyers contributing to the growth of local design brands. Honouring works made by hand is something deeply rooted in the Estonian identity: it was regarded as a serious task with concrete visible outcomes, and was held in high esteem among our proud and hard-working peasant ancestors. Perhaps this is why Estonians have seamlessly adapted to the shift from handcraft to design, visible in the new wave of design shops emerging across Tallinn and elsewhere in Estonia. Originally a textile designer, Pille Jüriso has slowly but surely developed a range of eye-catching characters with whom she experiments by applying them to everyday products, thereby giving life to otherwise utilitarian objects. 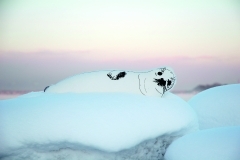 Pille’s attraction to nature has led her to construct an animal kingdom of her own, where the owl, cat and seal co-exist in perfect harmony. As a kid growing up in the 1980s, Pille spent her time absorbing the art and fashion publications of the time. Siluett, a magazine published in Estonia for more than thirty years, engaged generations of women, fashion designers and home sewers across the Soviet Union, apparently even reaching Cuba. Growing up in the small central Estonian town of Järva-Jaani, Pille was curious about all things tactile: rags, buttons, fabrics, ribbons and clothing constituted her surroundings in the attic, which she considered a land of discovery. Pursuing a growing fascination with fabrics and soft surfaces Jüriso’s first instinct was to apply to a fashion design program, but further consideration led her to textile studies, a decision she’s still content with as it’s “so necessary for everyday life”. The majority of designers would agree that finding a distinctive language for one’s creation is a constant act of becoming. To track the vestiges of inspiration is an ambitious task, but Pille makes her way to mossy floors of vast pine forests and bogs, accompanied by created characters and recording devices to capture colors, textures and patterns of wildlife. 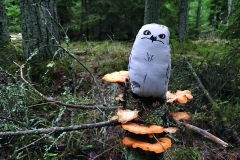 Her education at the Estonian Academy of Arts, an extended design circle and stimulating investigation of the cultural sphere led Jüriso to produce her most recognizable character, the (grumpy) owl, in 2009. 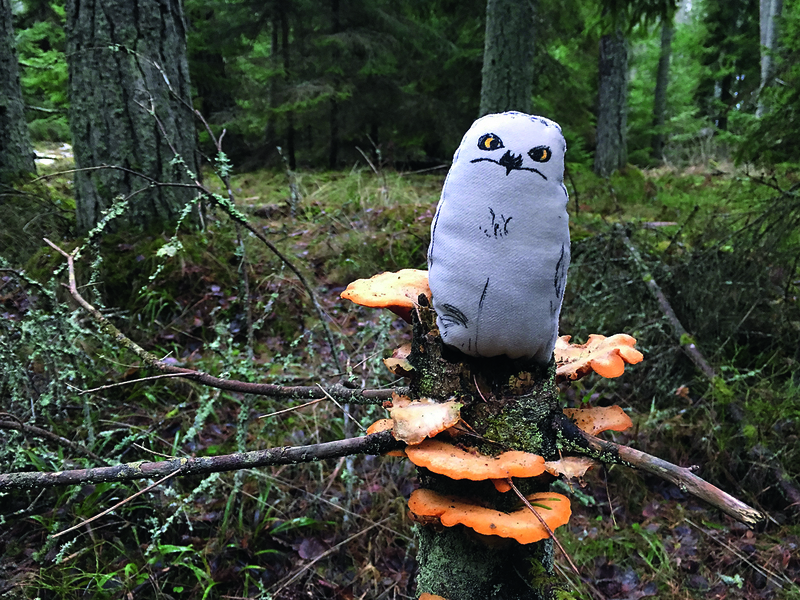 During a moment of creative crisis, when the inner negotiation about continuing on her own path versus producing textiles for others reached a peak, a friend’s advice to make owl pillows pushed Pille into a new trajectory. Although Pille denies attributing a national aspect to her design, the perceived emotional state of the bird speaks for itself. 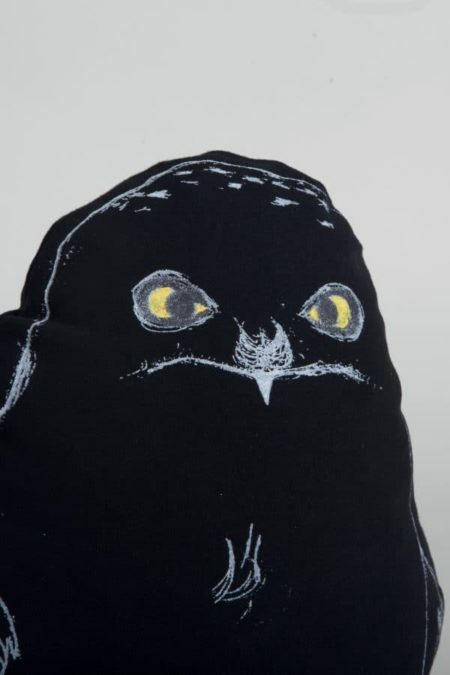 When asked about the grumpy mood of the owl, Jüriso expresses surprise, stating that her intention was to capture the bird’s realistic essence and not to simply create a figure. Perhaps humans need to decipher their surroundings by reflecting on our perceptions and notions of the natural order. With the growth of animalistic characters and progress in developing designs emerged a wish to separate creative pursuits from her own persona; the eponym Pillezoo (established in 2013) made it clear that a close-knit animal kingdom was only one of Jüriso’s artistic endeavors. Of course, ideas arise more often than they are realized in real life, but the preferred technique of silk-screen printing is visible throughout the brand’s aesthetics. 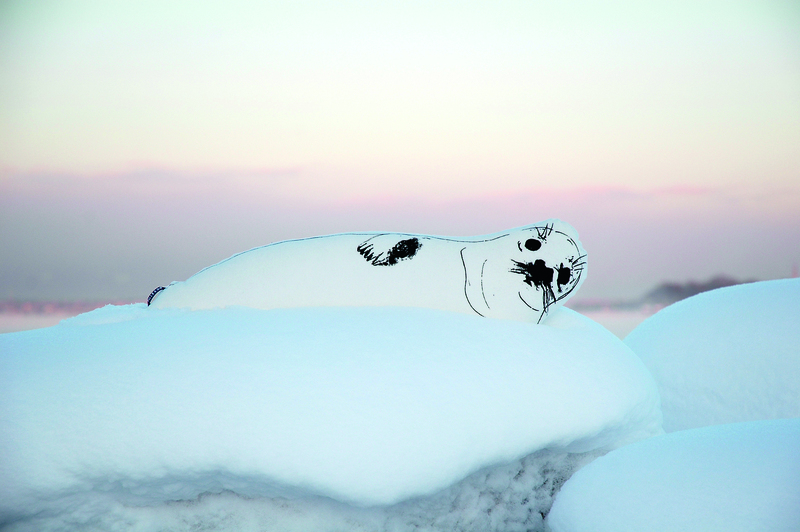 In creating textiles which later are given form as pillows, toys or other objects, Pille follows a rather serene workflow which begins by making stencils of previous sketches or photographs and then continues down two possible routes: “When printing only backgrounds I use a frame and take it quite easy. Other times I don’t even use a frame and apply the color with a squeegee, and then I take it especially easy.” In the current climate of overproduction, the practice of sustainability is omnipresent in preparing Pillezoo’s products. Calculated decisions start with water-based colors, organic linen, cotton and wool fabrics to ensure that the textiles are put to full use: leftovers are used as fills to minimize waste. Against the backdrop of the medieval Tallinn Old Town and tourist-oriented amber shops, one can find sanctuary in a bright corner shop, where the animals’ gaze greets and humors passers-by. 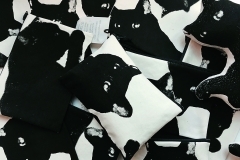 Having experimented with a makeshift shop in the past, opening a retail space for Pillezoo was a step in re-entering the realm of consumer culture. Serving as an antidote to obtuse and anonymous stores in a touristy hotspot, Jüriso emphasizes the importance of creating an amusing and consistent atmosphere powered by an approachable display of mostly textile designs. The shop has served as a necessary platform to develop product categories, experiment with sizes and test functional aspects on clients. 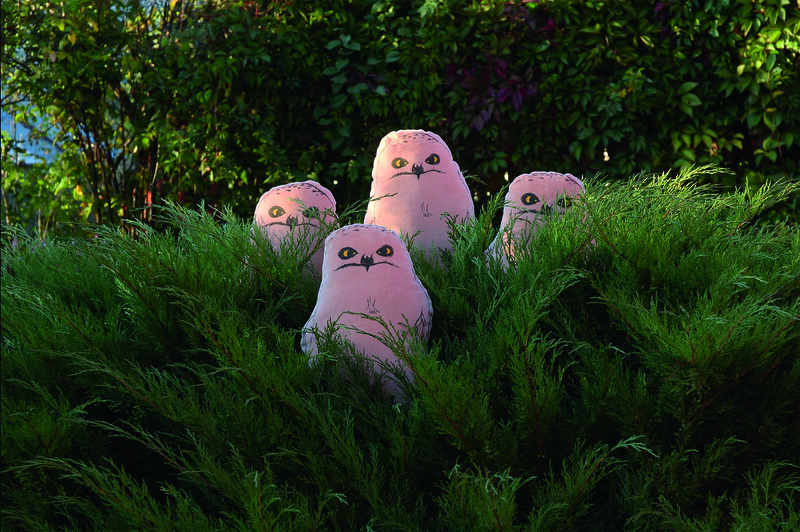 Pillezoo’s character trio have settled in the store as if it were their natural habitat. 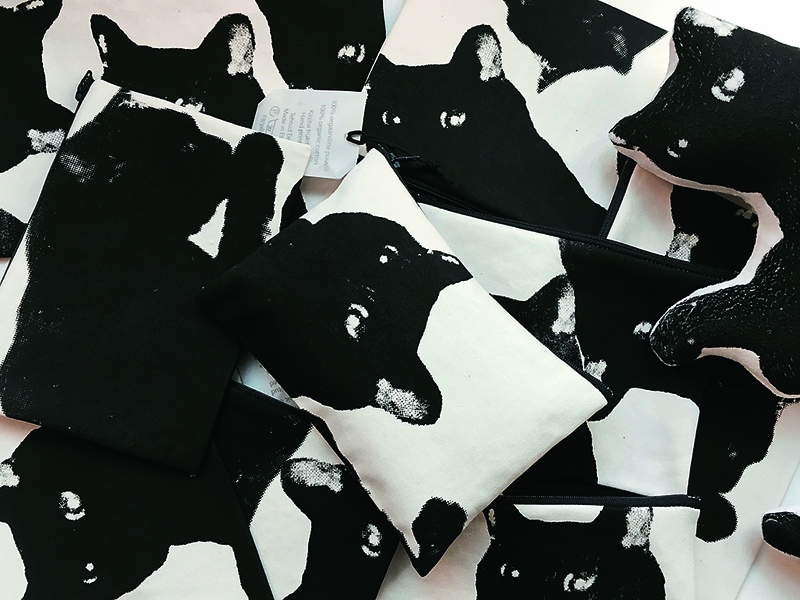 Originally created as pillow-animals, the illustrations of the owl, seal and cat are now present on bags of all sizes and functions, as well as on kitchen textiles, magnets and notebooks made in collaboration with Joel Leis. While the product range includes functional everyday accessories, it’s the lively representatives of the animal kingdom that make people interact with the objects. Pille has discovered a surprising niche audience of 40-something men particularly drawn to the seriousness of the owl: if you’ve tackled the most complex audience, winning the hearts of others is no biggie. The interactive aspect, together with strong connotations of nature via organic textiles and water-color hues, represent the distinctive and minimalistic motifs that are beloved in the Nordic realm. Although Pille Jüriso situates her work on the periphery of the local design community, it’s the tranquil sanctuary she’s created that places Pillezoo in the global community of designer shops. Evelin Kangur (b.1989) MA student at the Centre for Fashion Studies at Stockholm University. Her research taps into the realm of textiles, sustainability and the search for kind fashion.